There is something intensely satisfying about picking up a good pen. A good pen can make you want to write, or doodle, or just scribble around on a page because it feels good. Now, I won't go as far as to say that I'm a "Pen Addict", but I'm certainly a fan of good pens and good paper, as I've written about before. So when I saw that Baron Fig was Kickstarting a pen, my interest was piqued, and I jumped on the chance to back. As a quick aside about Kickstarter, I've kind of adapted my strategy when using Kickstarter these days. I've backed a few disastrous projects here and there, so I've become a lot more cautious when it comes to backing projects on Kickstarter. In my recent experience, some of the best indicators of a decent project are lots of early communication, a proven track record, and realistic expectations even when funding goes over the goal. For example, Baron Fig was up front about their past successes on Kickstarter, and I already knew they made good products. One of the other projects I'm backing, App: The Human Story Documentary has been incredibly communicative throughout their creative process, even in the face of delays. Otherwise, I've become much more skeptical when it comes to backing projects. 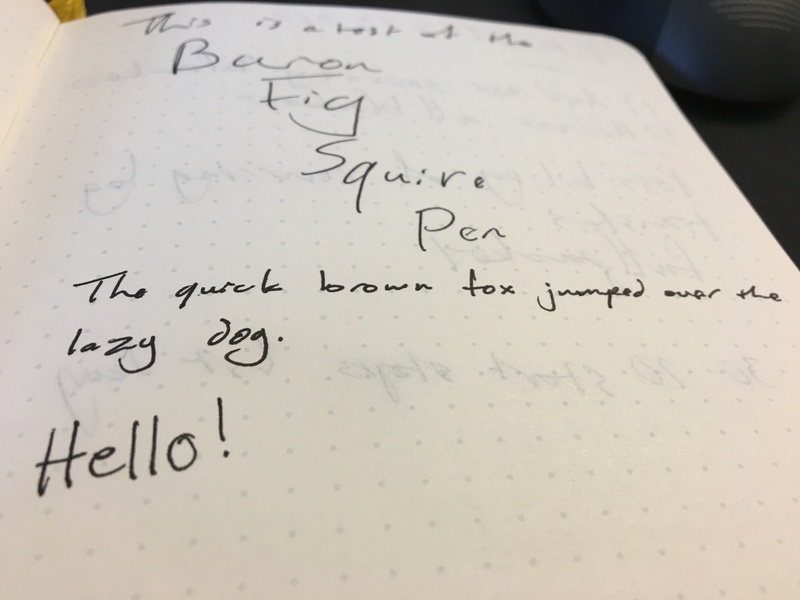 So, true to their word, Baron Fig shipped their Kickstarter pens at the end of March, and I've had the opportunity to use mine for the past week or so, and I think it's one of the best pens I've ever used. 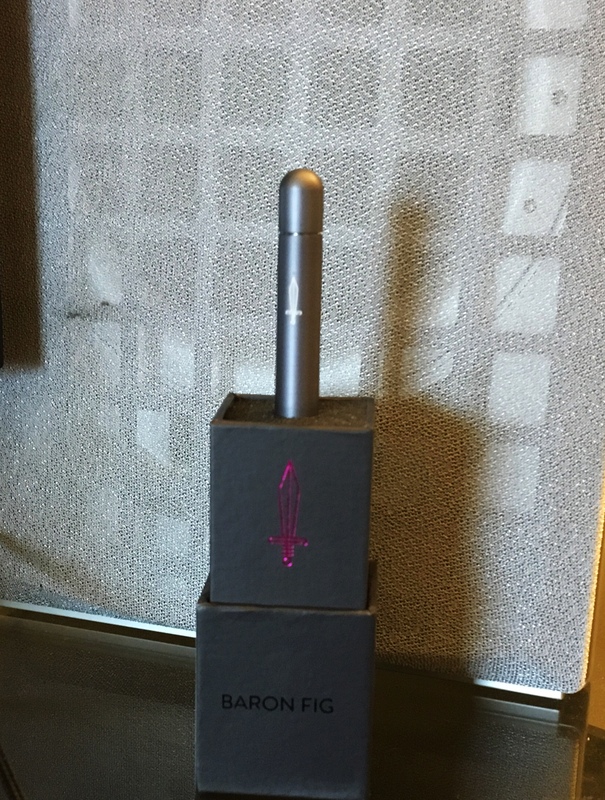 Baron Fig put a lot of care into the design, how the pen feels in the hand, and how it writes, and it clearly shows. Even the box that they shipped the pen in doubles as a nice desk stand for the pen. The pen fits perfectly into a pocket, it's not too tall so it doesn't peek out the top, but it's not too short so it fits just right in the crook of your hand. The cartridge is a Parker-style .6mm, which is a little thicker than I usually like for an ink (I tend to use a .5mm Pilot G-2 for most of my writing), but I've been able to adjust. I have noticed a little bit of feathering when writing with the pen on some paper, notably even in my Baron Fig Confidant. So I've had to adjust my writing style a little bit, but I'm rapidly becoming more and more comfortable with the pen and its ink flow. As with every review, the ultimate question is "is the product worth buying?" The answer in this case is: if you're in to pens and would like a great writing instrument, then yes. 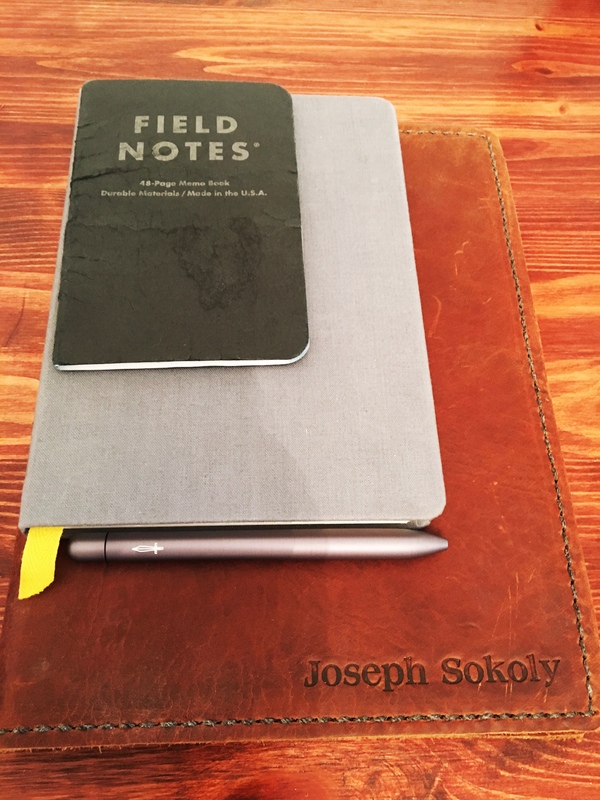 I'm fully aware that the (at the time of writing) $55 for a pre-order of the Squire is pricey for something that can also easily be done with a pack of Pilot G-2 pens, or a pen I borrowed from someone's desk. But I find a lot of enjoyment in a nice pen, and the Squire is one of the nicest writing pens that I've ever used.